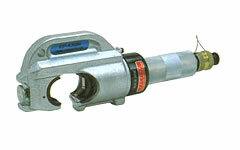 EP-431H Hydraulic Compression Tools: Izumi Products. 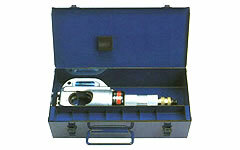 The EP-431 is a remote C-head that requires an external 700 bar or 10,000 PSI pumping source for operation. This unit has a larger jaw opening than the EP-410H. The 31mm opening allows the user to compress larger splices up to 600KCM. Consult your manufacturer for exact cable, connector and die combinations. When ordering dies, specify the manufaturers die and connector numbers.